If your home has these features, consider investing in a personal umbrella policy. While your standard homeowners insurance policy offers you personal liability protection, this coverage might not be enough. This is especially true if your home has special features that can increase the chances of an accident taking place on your property. Luckily, securing an umbrella policy will give you the additional liability protection that you need. If you have these special features around your home, umbrella insurance is a must. While many homeowners assume their backyard swimming pool is covered under their homeowners insurance policy, this isn’t necessarily true. Sometimes policies will explicitly exclude coverage for swimming pools because they are considered so high-risk. 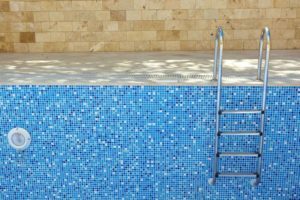 Even if your policy does include coverage for your pool, your limits probably aren’t high enough to cover the cost of a serious injury or accidental drowning. The best way to secure the liability protection you need is by purchasing a personal umbrella policy. If you want a way to reduce your policy’s premiums, installing special safety features can help. By installing a security fence around your pool or building a railing into your pool’s stairs, you can make your pool less risky and therefore a little less expensive to insure. Trampolines are another feature that can significantly increase your home’s liability risks. In fact, most homeowners insurance policies specifically exclude coverage for trampolines because of the increased risks they pose to the homeowner. Because a trampoline increases the chances of a third-party accident taking place on your property, it’s important that you have the right coverage to protect you from the costs of such an event. Investing in a personal umbrella policy will afford you the excess liability coverage you need to protect yourself against your trampoline risks. If you have these special features on your property, you need to secure the excess liability protection that only umbrella insurance can provide. Do you have questions regarding your personal liability or homeowners insurance protections? If so, contact the experts at VGW Walker Insurance in Texas today.